The summer months can really take a toll on your house's temperature. Luckily, this post by Denver Cleanpro has a few tips on how you can keep your place cool in an economical way. Summertime: the sun is high up in the sky and the temperatures are even higher. While you're surely glad the colder months are gone, you probably don't want to sweat your life away during these hotter days. 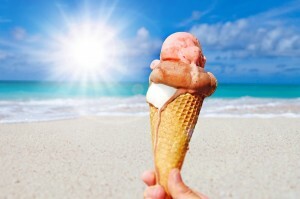 Still, staying cool can be a tricky business, since doing so can increase your electric bill enormously. Luckily, this post is here with a few tips you can use to spend the summer in a cool and economical household. Make your carpeted floors and upholstery cool once more by calling Denver Cleanpro at 303 903 1261 to set an appointment for carpet cleaning in Denver, CO.
First of all, you need to consider yourself lucky, since not all houses are equipped with an Air Conditioning (AC) System. Once you've done that, be sure to service your AC System if you want to have a cool home during the hot summer months. You need to have a professional look at it at least once a year for it to work as expected. Doing so can keep your home safe and may even result in a lower electric bill. If you want a cheaper alternative to the AC System (since running it all day long will impact your finances greatly), why not make use of your ceiling fans? During certain times of the day (early in the morning or during the nighttime), it makes more sense to simply turn them on. If you don't have any at home, it's recommended that you look into investing in some. The initial cost may seem steep, but you'll find that your electric bill will lower, which can save you a pretty penny in the long run. Your windows play an important role when it comes to regulating the temperature of your house. This is because heat and sunlight can make their way in through them, and the cool air can make its way out. To optimize them as much as possible, you could use shades that block the sunlight out. Furthermore, it's highly suggested that you check for any leaks and that you cover them up if you find any. Aside from that, you should pay attention to when you open and close your windows. For example, it's never a good idea to open them when the AC is on, since that will only cause the cool air to get out. A good strategy is to open them during the nighttime. This, combined with your ceiling fans, will help keep your place chill. A tip most people don't think about is giving their carpeted floors and upholstery a deep clean, but you should try it during these hotter months! This is because dust, dirt, debris, and all kinds of other gunk can get stuck in them, making the airit much more stuffy and less fresh. A deep clean from a professional team (such as Denver Cleanpro) can remedy that and ensure your floors will be as light and breezy as you'd like your whole house to be. Keep your home fresh and clean with help from Denver Cleanpro. Call 303 903 1261 to set an appointment for professional carpet cleaning in Denver, CO. If you want a quick and easy fix to regulate your place's temperature, lower your electric bill, and have a cooler summer, pay attention to the kind of lighting you're choosing for your house. On the one hand, there are those lights that are a white/yellow color; these are known as warm lights and can elevate your home's temperature. On the other, there are white lights with a blue undertone; these are cool lights that can keep your place "cooler". Take this information into consideration and choose your house's lighting wisely! Last but not least, keep plants around your house. They won't only make your space seem "cooler", cozier, more alive, and colorful, but actually, having plants around can help you have cooler and fresher air at home. Plus, it has the added bonus of keeping your home cool in an environmentally and money conscious way. According to Simplemost, ferns, aloe vera, golden pothos, and others, are especially good at keeping your place's temperature naturally cool, so give them a try! Call Denver Cleanpro at 303 903 1261 to learn more about their revolutionary carpet cleaning system, and how it can clean your carpeted floors in a green and safe way.